Keeping kosher in Peru is somewhat easier than some other places that I have traveled. 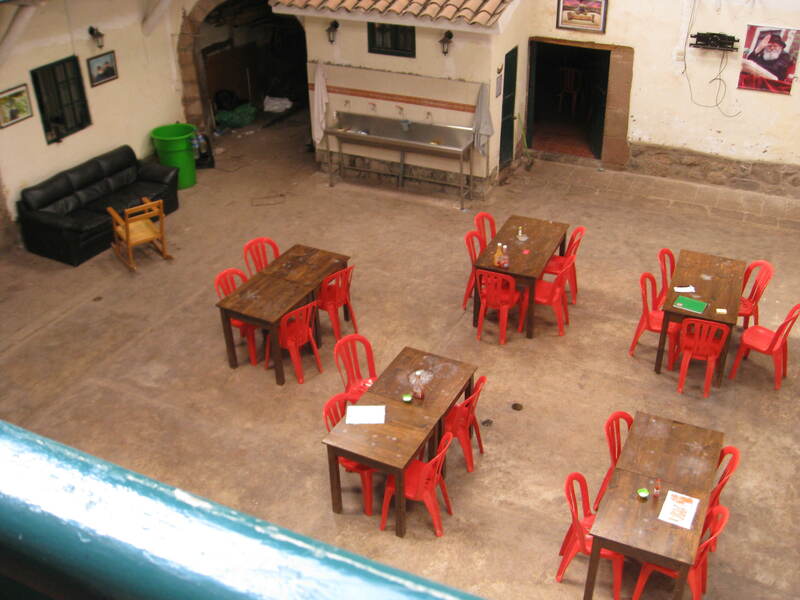 There are two main areas with kosher food available, Cuzco and Lima. I started my visit in Cuzco, while preparing to go to Machu Pichu. It is recommended to spend a few days in Cuzco to adjust to the altitude before proceeding to Machu Pichu. Some people suffer from altitude sickness when they arrive. In Cuzco there are many Israelis so practice your Hebrew. If you speak to them you might even find the cheapest places to stay. Our first stop in Cuzco was the Chabad where we got a recommendation for a hostel to stay in. The hostel where we stayed, called “Luzerna,” was right around the corner from the Chabad and cost about 6 or 7 dollars per night. All of the guests were Israeli and I really enjoyed hanging out in the common room watching movies, late night conversations about what it means to be Jewish, or a Friday afternoon sing along. There is a kitchen that is not Kosher so don’t be fooled by the fact that everyone might be speaking Hebrew in your hostel. That being said, there is a great option for Kosher keepers in Cuzco. The Chabad runs a kosher restaurant. Everything is made on site and from scratch. While that means that it tastes great, don’t expect to get in and out in a hurry. We usually planned 45 minutes to be served our food and then some time to eat and another 15 minutes to pay and get the correct change. Plan to chill out a little while your food is prepared. There are specific dairy hours and meat hours and separate kitchens and eating areas. My recommendations, if you are going dairy, get the breakfast special: a mix of salad, amazing avocado, omelets, and tea. If you are getting meat, go for the shnitzel and a humus plate. The small humus is pretty large and comes with their own pitas. We shared a small humus and almost couldn’t finish it. Shabbat meals are 15 sol each prepaid and are an amazing experience. Cusco is a great base for all sorts of activities. There are short trips to do white water rafting and tour the sacred valley, full of amazing views small towns, and farms. There are really fun horseback riding trips around Cusco that explore a number of Inca ruins. 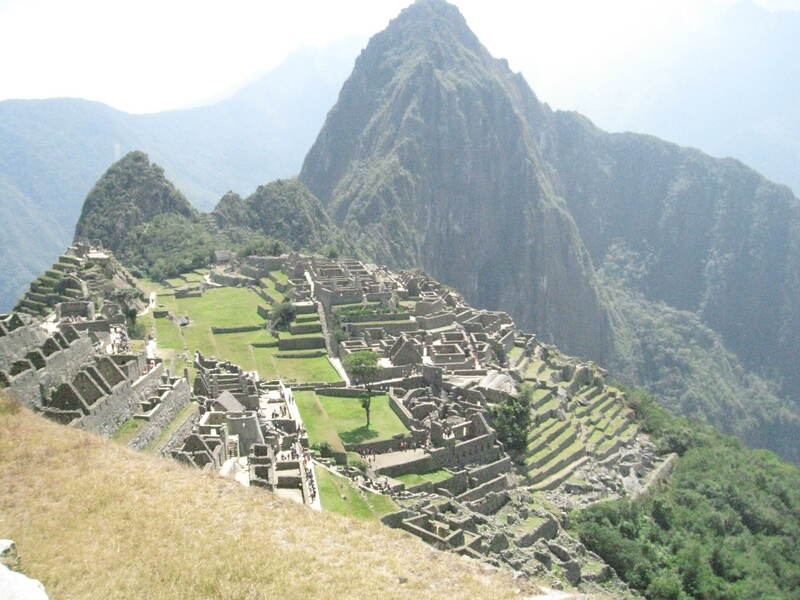 The most famous site for tourists in this area is Machu Pichu. Many people like to follow the Inca trail, a four or five day hike from Cusco to Machu Pichu, an ancient Inca city on a mountain. Tickets to the Inca trail sell out months in advance so if you want to do this hike plan ahead. The government limits the number of hikers to keep it from being too crowded. There are alternate hikes to reach Machu Pichu or you can get there by train in much less time. However you reach Machu Pichu is worth it. The views and history are amazing. Cusco is also a point of origin to fly to the rainforest. In Cusco, Chabad is the only show in town. They can serve all of your Jewish needs. They provide Kosher food, Shabbat prayers and meals, socializing with other Jews, and even have a pretty well stocked library. They do not have weekday minyanim but they have a ton of people on Shabbat. About 15 people showed up for tefillot on Friday night but ten times that many people showed up for dinner followed by a farbrengen that went until the early morning. The fresh and seemingly unlimited salads and Jachnun are very recommended. They also have a free internet room that you can use but be aware that it closes for Shabbat when Shabbat starts in Israel, which is long before it starts in America so don’t plan to send an email just before Shabbat in America. The Chabad is located at Calle Vitoque 631, Cusco, Peru 51-84-236-844.